My School Books not only allows you to track your school income, expenses, sales tax, mileage, and more but in just a couple of clicks you can also create detailed, professional reports. 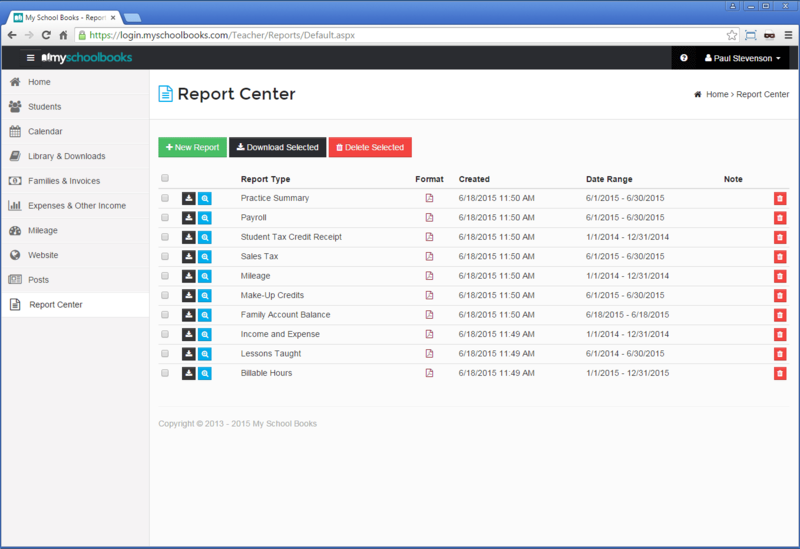 That’s right, the My School Books report center is the central location to generate and securely store all of your school reports. This way, when tax time comes around, all of your information is in one place and you’ll be ready to go. 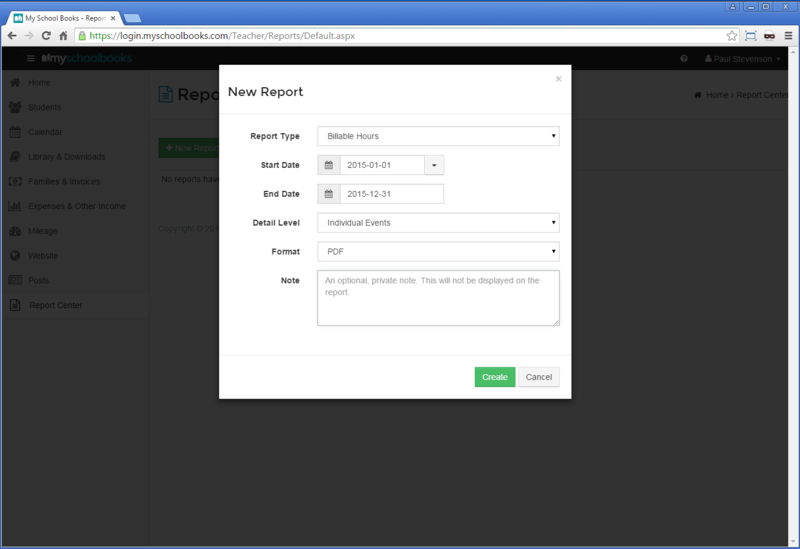 Need to print, email, or further customize your reports? No problem. 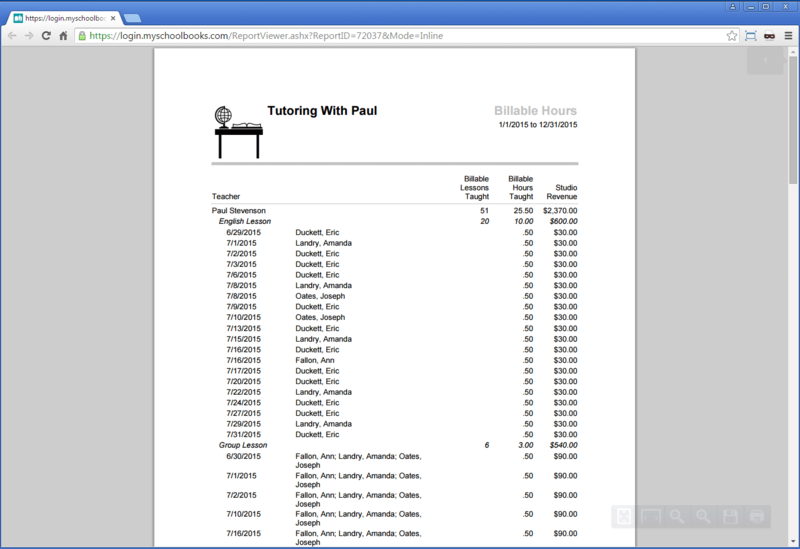 All reports in My School Books can be exported into a PDF or Excel format.